I have to confess, I don’t understand the hype in Toronto when it comes to brunch. This means one has to get up, get ready, and travel to the brunch destination for the pleasure of waiting in line to pay quite a bit for dishes that are mostly made of inexpensive ingredients like eggs, toast and the like. I simply can’t be bothered when I can make amazing breakfasts at home, in my pyjamas, with a nice cup of coffee while I whip it up. Quiche: the quintessential brunch dish, can be quick and easy enough to make for a simple weekend breakfast at home. Then again, if you want to entertain, it’s special enough to dazzle your guests. 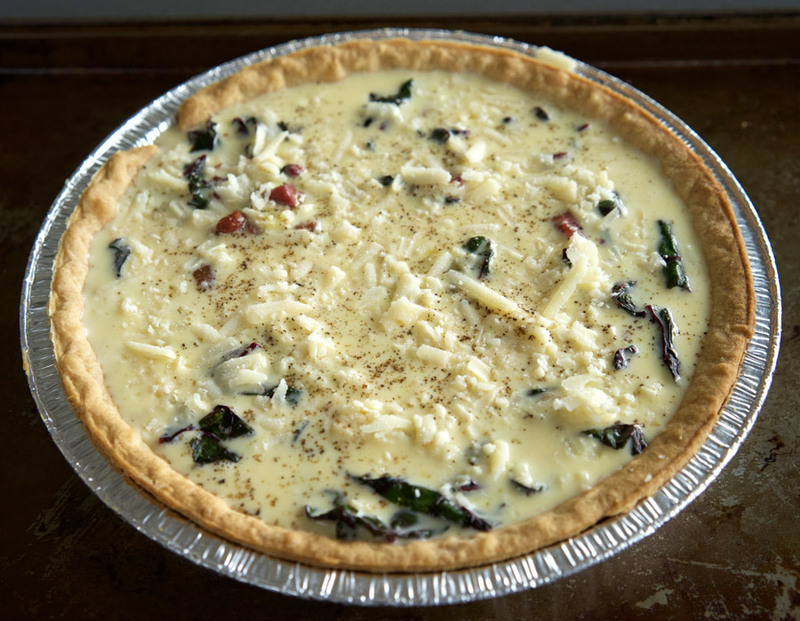 This version includes crisp Pancetta, freshly grated Parmigiano Reggiano cheese, and Swiss Chard to balance all that richness. Using a store-bought frozen pie crust speeds things up and since it’s just a single-crust pie, does the job rather nicely. 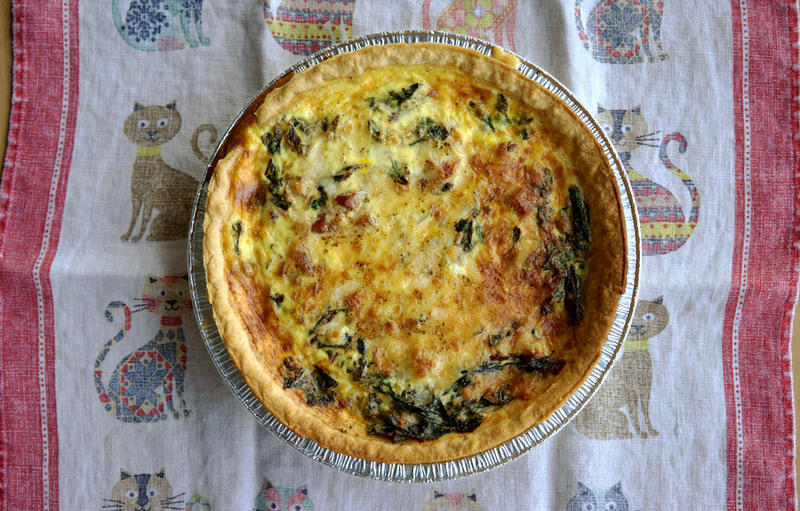 The recipe makes a single 9″ quiche, but it easily doubles if you wanted to make enough for a crowd. To start, you’ll want to prep your crust according the directions it came with. For mine, I let it defrost for about 15 minutes while heating up the oven. I pricked it all over with a fork before blind baking it for 13 minutes until it was a light golden. Then it can cool while you prepare all the other ingredients. Nothing but freshly grated Parmigiano Reggiano cheese will do for this recipe, no substituting pre-grated, non-refrigerated stuff here! 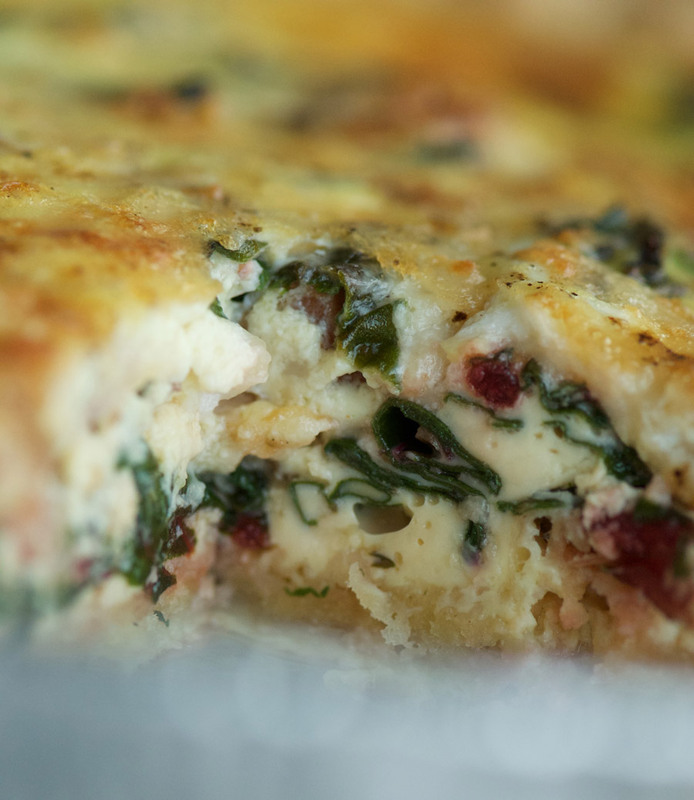 The real thing adds a deep, almost nutty flavour and amazing texture to the final quiche. 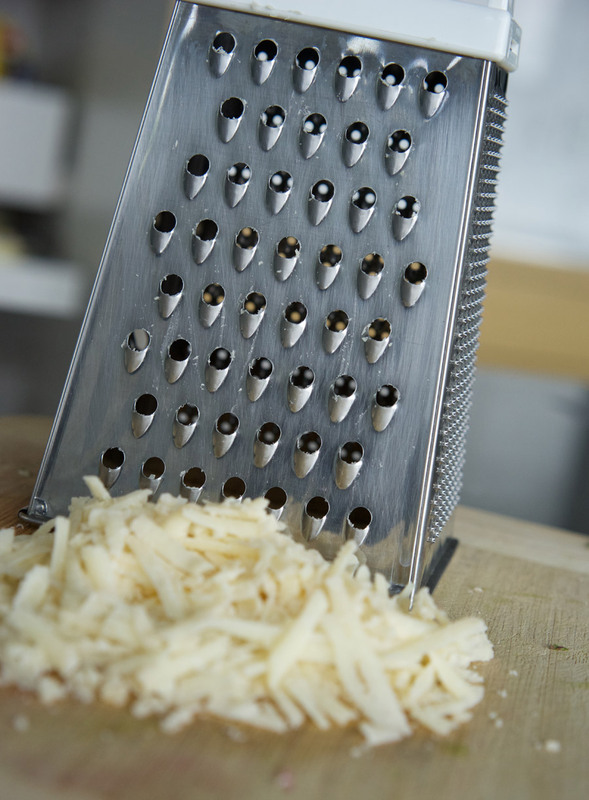 I use the large holes on a box grater for the best result. Start the Pancetta in a large skillet, and fry until crisp. Then add the chopped Swiss Chard. You’l look at it and wonder how all this will ever fit into that pie crust, but don’t worry, it will reduce right down into a more management amount. 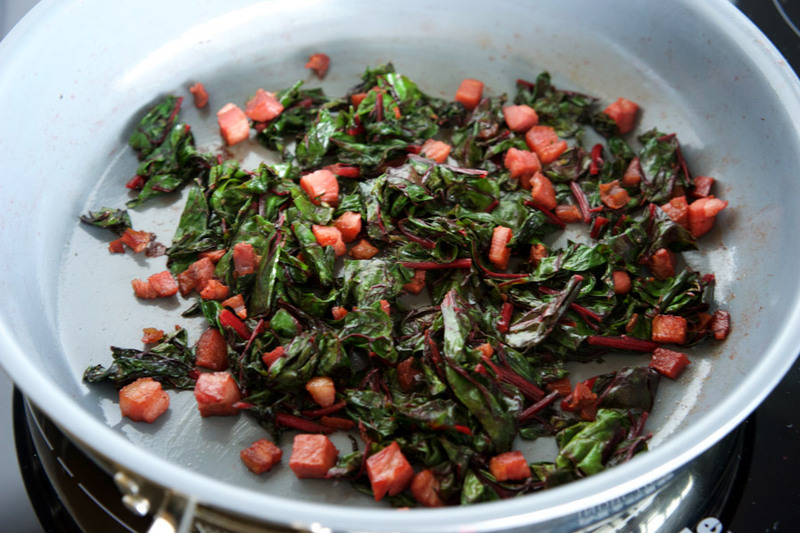 After 5–10 minutes, the Swiss Chard will wilt and the Pancetta will reemerge from the bottom of the pan. When it looks like the photo below, it’s ready! (Don’t overdo it, you want it well reduced but not completely dry). Meanwhile, whip up the eggs, milk, cream, nutmeg and Parmigiano Reggiano cheese in a bowl. I find between the cheese and the Pancetta, there is enough salt that no additional need be added. You can use some freshly ground pepper here, though. Now you simply assemble everything into the crust. The chard and Pancetta go in first. 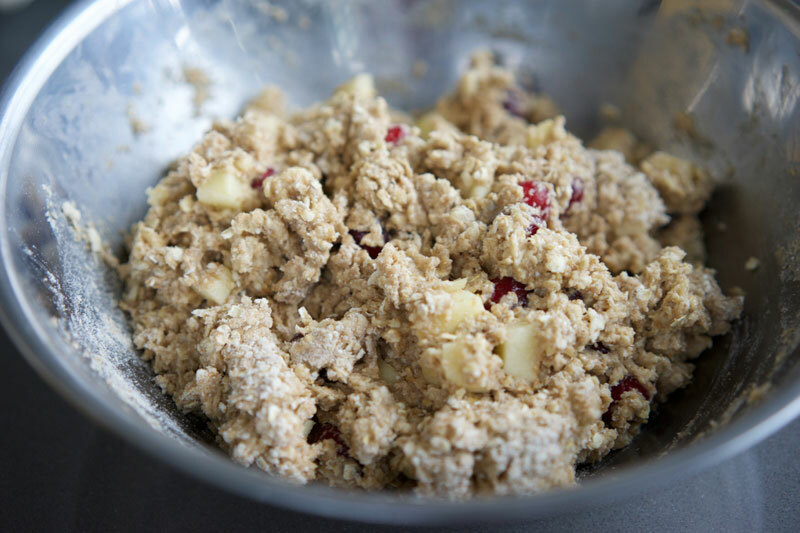 Next, top it up with the egg filling. I save a bit of the cheese to sprinkle on top to enhance the top “crust”. 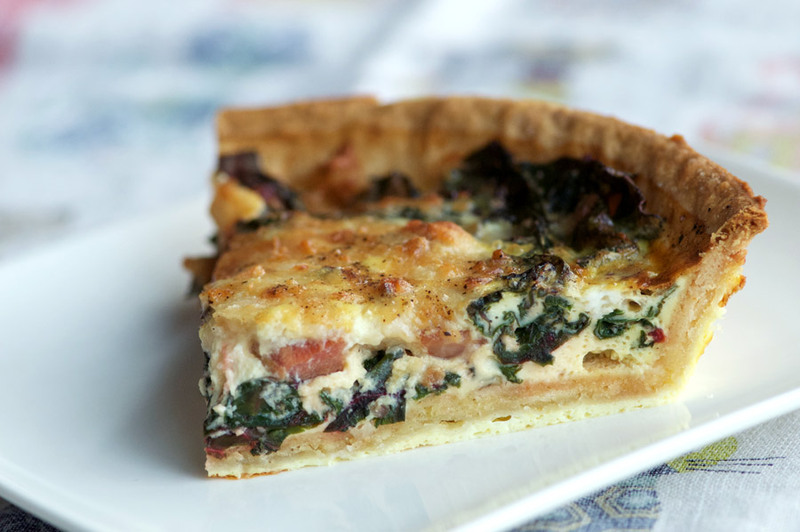 Bake at 375° for 25 minutes, and voilà… beautiful quiche. Your kitchen will smell amazing right about now. I find cutting the quiche into quarters for serving works well. Add a small side salad and a glass of bubbly, and you are off to one spectacular breakfast. Look at that filling: fluffy, loaded with veg, cheese and salty pancetta. And there’s a pretty nice flake on that crust. 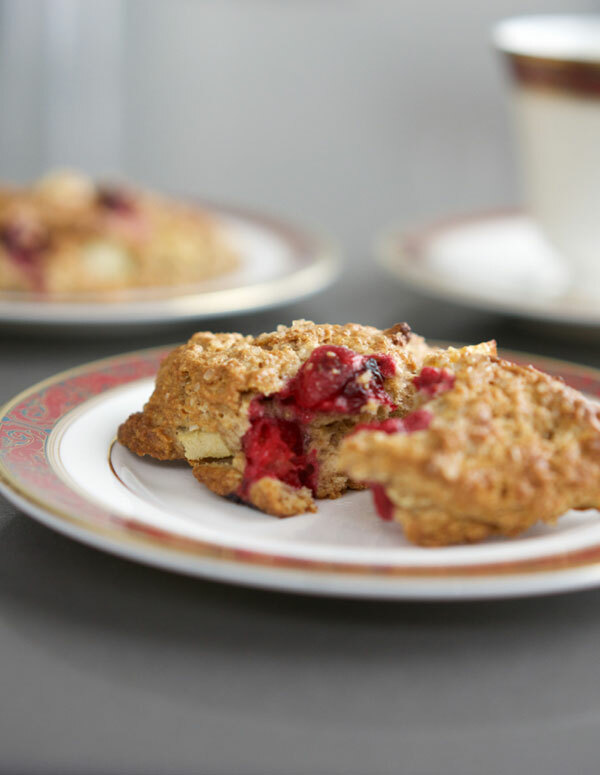 Why get all ready to go out for brunch when you can make this so easily at home in your PJs? 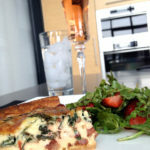 My favourite quiche with savoury cheese and bacon flavours. Preheat oven to 400°. 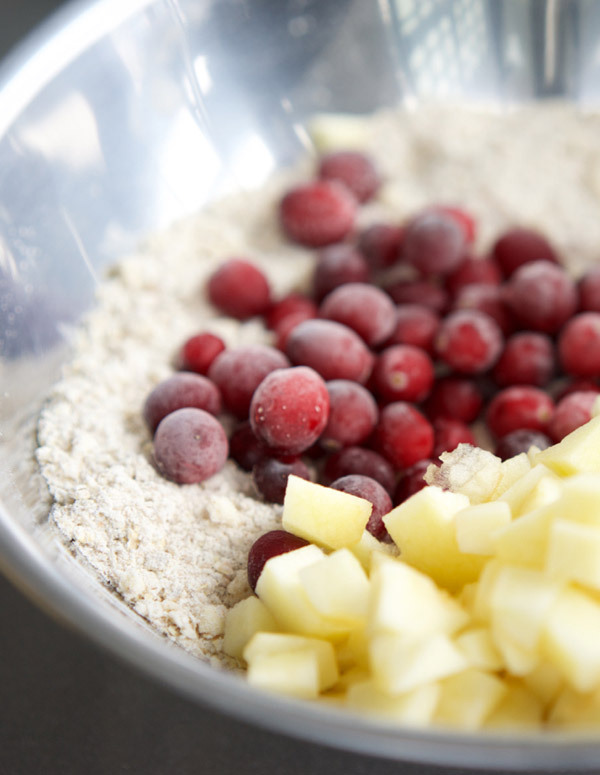 Remove pie shell from freezer and allow to rest at room temperature for 10–15 minutes. Prick pie shell all over with a fork, then bake for 12 minutes. Remove shell from oven and allow to cool. 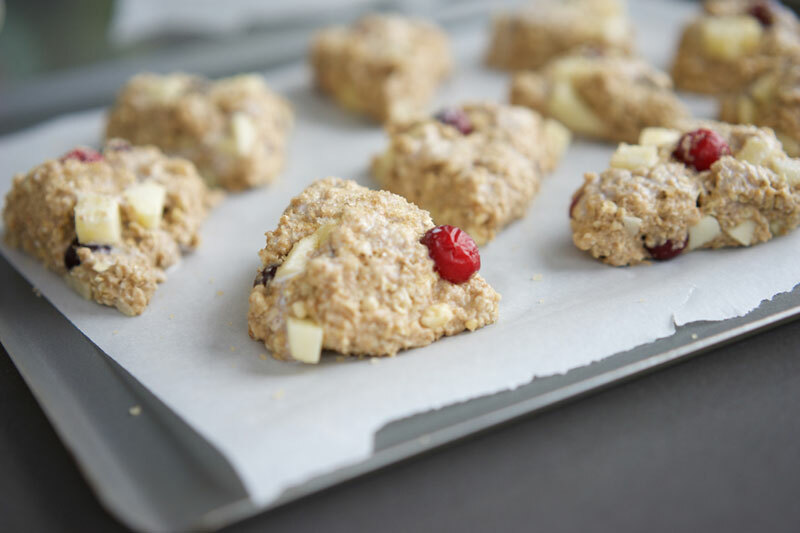 Reduce oven temperature to 375°. Cook Pancetta over medium high heat until crisp. 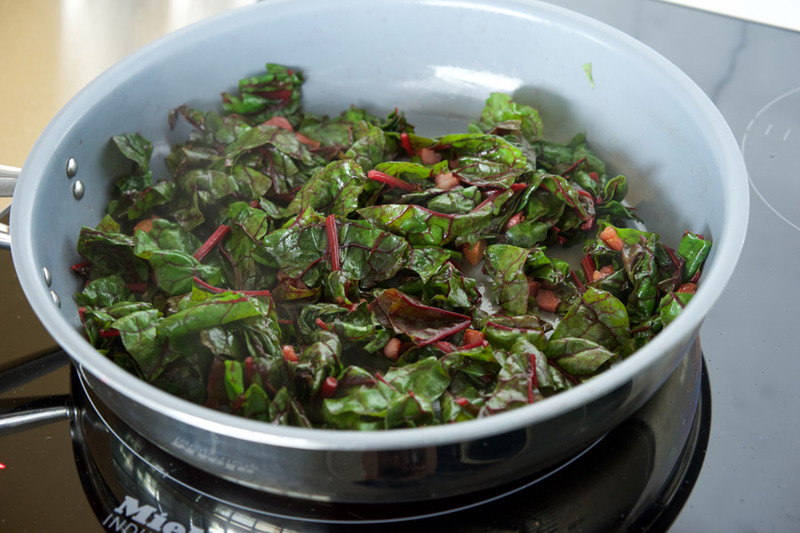 Add chard and sauté until the leaves have wilted and reduced substantially, about 7–9 minutes. Insert into pie crust. 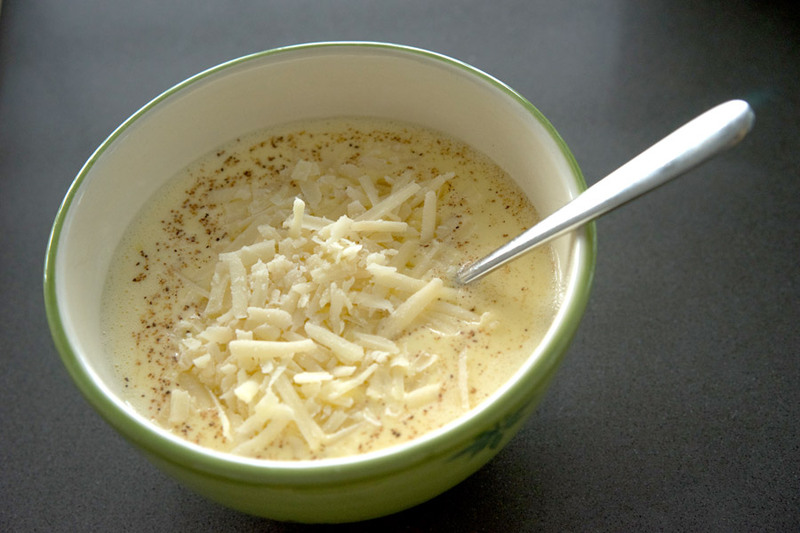 In a medium bowl beat eggs; add milk, cream, nutmeg, pepper and most of the Parmigiano-Reggiano cheese (reserve a small handful to sprinkle on top of the quiche), stirring well to combine. 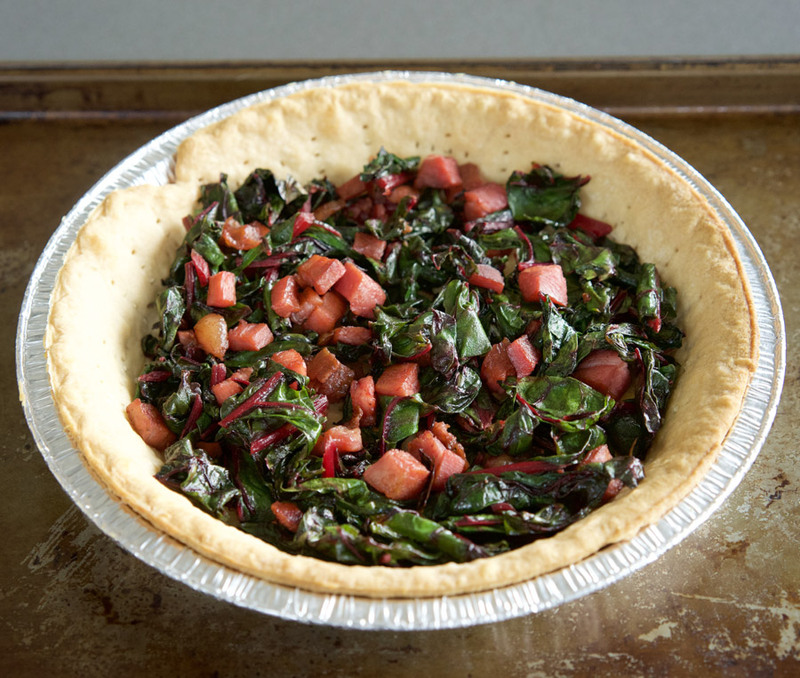 Pour into prepared pie shell over top of the chard and Pancetta. Sprinkle with reserved cheese. Bake at 375° for 25 minutes or until just set in the centre. Insert a toothpick to check whether it is cooked through. 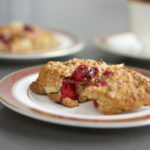 Serve warm from the oven—tastes great with a side salad of peppery greens like Arugula in a light vinaigrette dressing.